Recent Builds - The BBQ BRETHREN FORUMS. 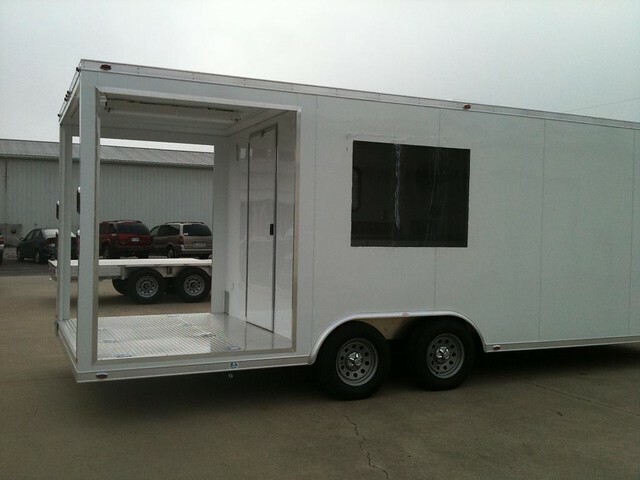 Extreme BBQ Trailers Custom BBQ Trailers Built to your Specifications. Southern Pride & Diamond Plate Pits Dealer. Here's a new one that was finished up today. Headed to Colorado! I'm heading to Indiana to pick it up on Friday! I'm giddy!! Good Lord that is a thing of beauty!!! So that will be in Parker so I can be drooling over it? Vertical insulated charcoal dropping clone. Traeger LilTex for winter cheating. storms of life that's when you have to learn to dance in the rain. When are you upgrading to a diesel to pull it? That certainly is pretty! How much workspace is opposite the sink? Neil - The side opposite the sink is wide open right now, other than the vending window shelf. I'm buying stainless work benches from Rest. Depot or another outlet to utilize as a work surface in that area. Michael - after pulling that thing 1200 miles back from IN, a diesel is definitely something in my future...just not within the current fiscal year. The "parsley" girl can only handle so much financial shock within a given time frame! 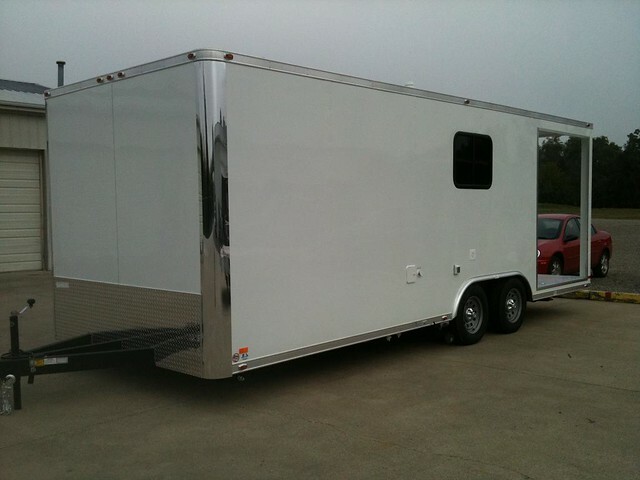 Sweet looking trailer Kevin! I've got one on order from James as well, should be getting it in early September, I can't wait. I believe I saw yours on the factory floor while I took the tour on Friday afternoon. You will LOVE it! Enjoy! 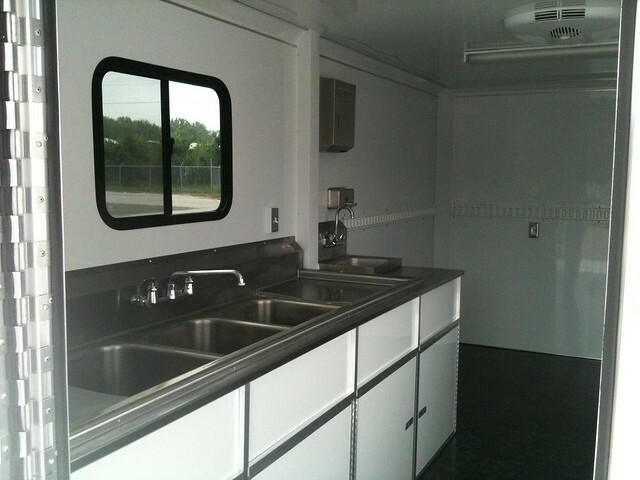 James sent me some photos today of my trailer that I will be picking up at the end of next week. All that's needed is the serving window and it'll be ready to go. To say I'm exicted would be an understatement! It's been great working with James on this build.